Quite a few years ago, I created a brand and identity system for a company named Stentor, and provided creative services to them for many years until they were acquired by Philips. 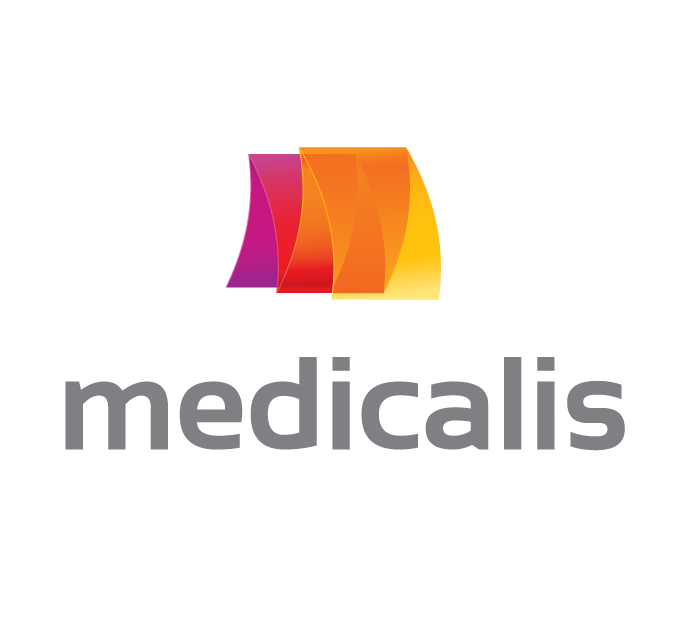 The former CEO reached out to me for help with re-creating the identity system for his new company, Medicalis. 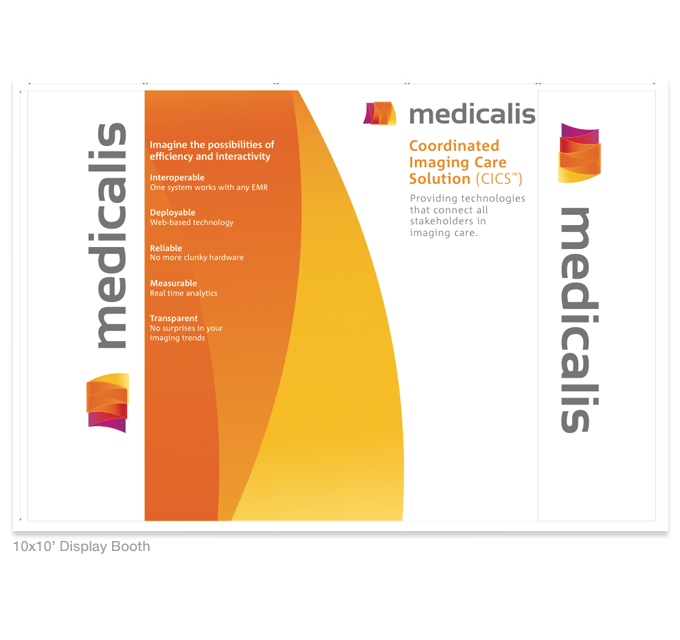 Specializing in the field of radiology workflow, Medicalis needed an identity system that conveyed their value proposition in the different areas of the field their product focused on. Their products focus mainly on the distribution of electronic medical records, informatics, and radiology images, and their key differentiator is reducing friction through transparency in a holistic system servicing the administrative, operational, and professional segments of the radiology workflow. The system I designed color-coded each of these three segments, and included a fourth color to represent Medicalis as the foundation of the overall system. I combined these in a form that suggests the flowing of documents through a transparent system. The colors of each "document" blend together to represent the overlap between each segment. The end result resolved as the letter "M", for Medicalis. The identity system also had to look very contemporary, but also professional, without being too buttoned-up. The final product ticks all the boxes the client requested, and has been resoundingly successful with their customers.